Any good librarian will brush up on literature for every age group. This is a JFIC pick for middle-grade readers and I think younger me would have snatched it up and devoured it immediately. The story takes place in a world just like ours, except that in addition to normal animals, magical creatures roam the world. 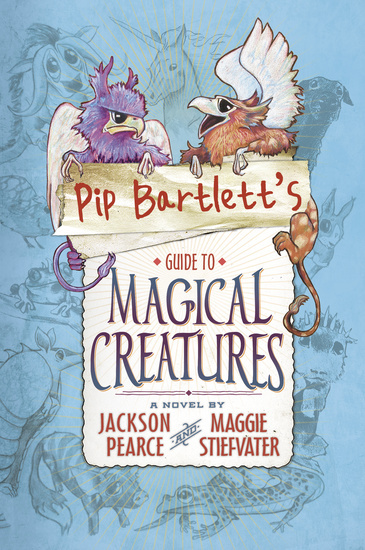 Pip Bartlett is a young girl who loves these creatures, but seems to be the only person who can communicate with them (no adults believe her, however). The majority of the book involves issues with Fuzzles, small fluffballs considered pests due to their ability to burst into flame at the slightest provocation. The Enchanted Forest Chronicles by Patricia Wrede. A very different premise, but an equally intriguing series for kids with a love of magical creatures or just creatures in general. I thought it was a good read, though I personally will not read the rest of the series. Pip was an enjoyable character and I really liked the fact that the magical creatures she encounters don’t fit the mold. For example, the unicorns were not the wise and majestic figures they are in so much other literature. Instead they were either completely vain and self-absorbed or paranoid and anxiety-ridden.